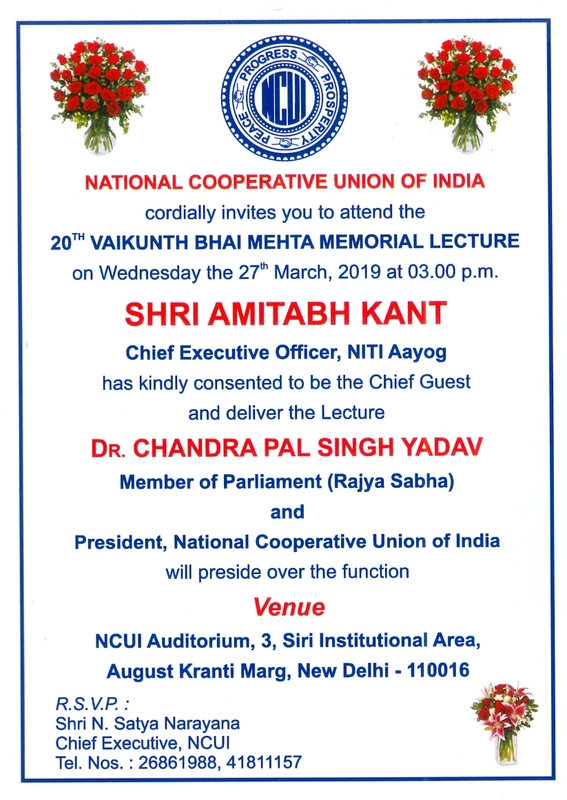 This 20th Vaikunth Bhai Mehta Memorial Lecture this year will be delivered by Shri Amitabh Kant, Chief Executive Officer, NITI Aayog on 27th March, 2019 at 03.00 p.m. in the NCUI Auditorium, reads a release mailed by the apex co-op body NCUI. 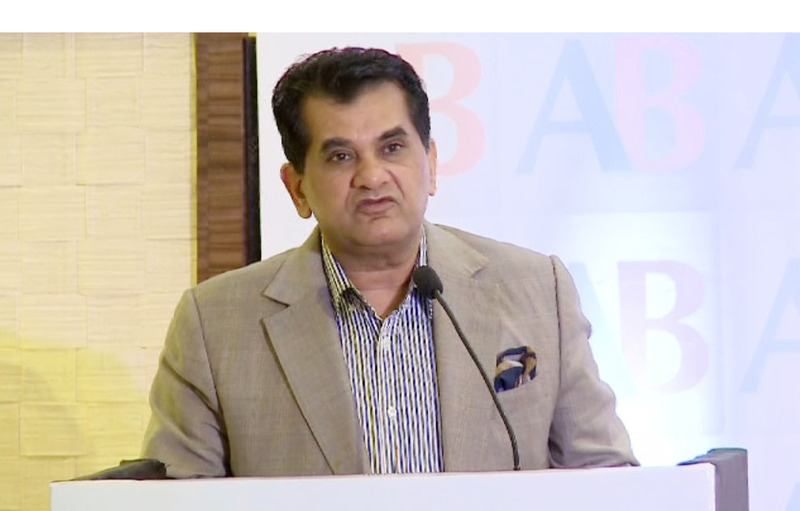 Acknowledged as one of the ace planners in the Modi dispensation Amitabh Kant was till recently Secretary, Department of Industrial Policy and Promotion. He is the author of “Branding India—An Incredible Story” and has been an inspiration to “Make in India”, “Startup India”, “Incredible India”, etc. Kant’s choice as the Key speaker also underlines the growing chemistry between Niti Aayog and the cooperative movement in the country. It bears recall that Niti Aayog held two high-voltage meetings recently with cooperators of the country and brainstormed issues plaguing the sector. Every years NCUI organizes the memorial lecture in the memory of Vaikunth Bhai Mehta known as one of the pioneers of the Indian Cooperative Movement. Shri Mehta all his life strongly advocated the cooperative ideology based on a conviction that cooperatives are the best civil society organisations to take care of socio-cultural and economic needs of the people. Last year it was the Vice-President of India Shri Venkaiah Naidu who delivered the 19th Vaikunth Bhai Mehta Memorial Lecture and it was Suresh Prabhu a year earlier. In the mail NCUI claimed that it has so far organised memorial lectures in the memory of eminent several personalities like Dr. V. Kurien, Former Chairman, National Dairy Development Board (NDDB), Shri Mohan Dharia, Ex-Deputy Chairman, Planning Commission, and others. The release also says that the function will be attended by Chairman and MDs of national level cooperative federations, state cooperative organizations, international organizations, and other representatives of reputed organizations. It bears recall that the Indian cooperative movement is the largest movement of the world representing 247.97 million members with more than 8.00 lakh cooperative functioning from village to national level through important sectors like credit & banking, fertilizer, sugar, dairy, marketing, consumer, handloom, handicraft, fisheries, tribal, labour and hosing etc.